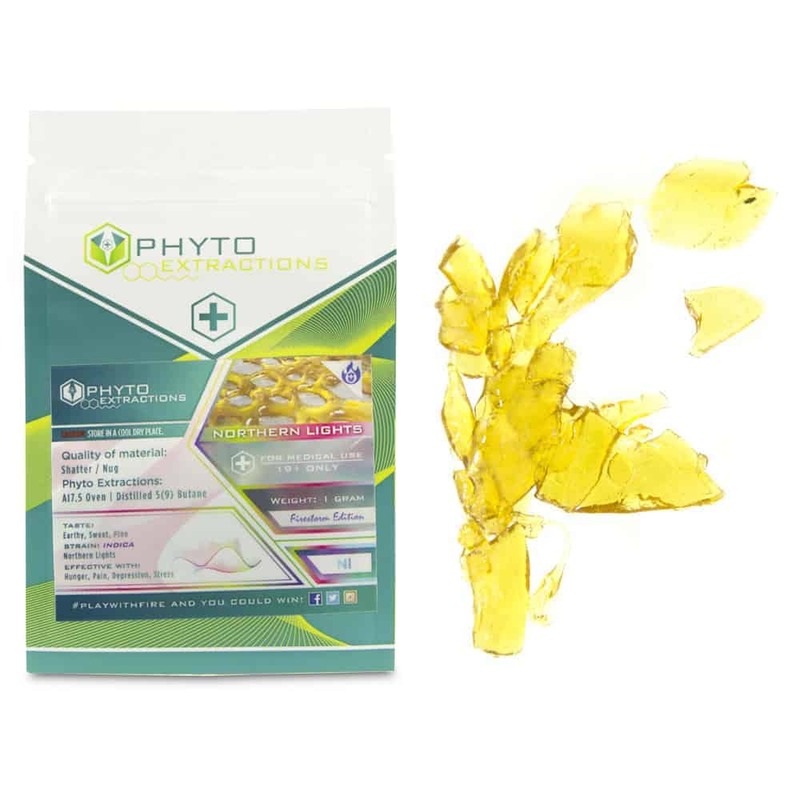 5 reviews for "Phyto – Northern Lights – Indica Shatter"
Perfect for nighttime use before bed. Relaxing and gave me couch lock which I was seeking out so I can stick to my recliner and watch some programs. Probably my favourite as of late. Great for anxiety or stress. Tastes woodsy and overall a consistent, long high. Love phyto and I love the northern lights strain, it has such a calming and relaxing effect to it. Got great sleep with this one.